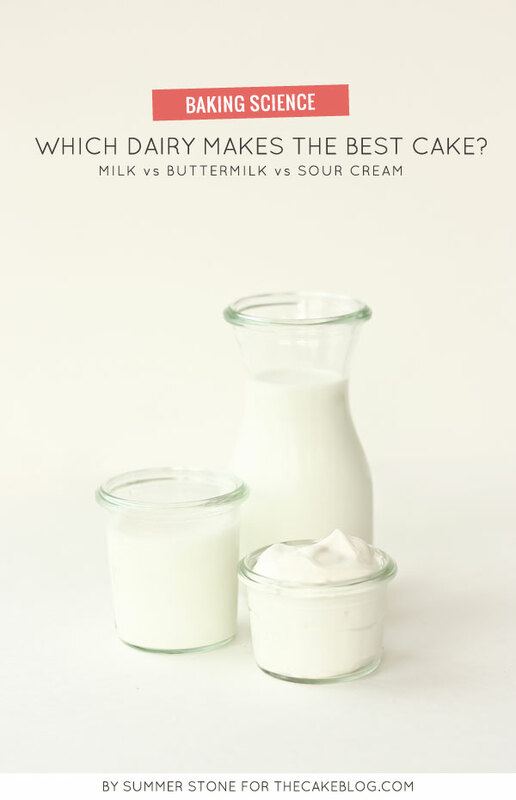 Which Dairy Makes the Best Cake? The liquid portion of a cake recipe can be easily overlooked as an insignificant ingredient but, it plays an important role in the character of the cake. 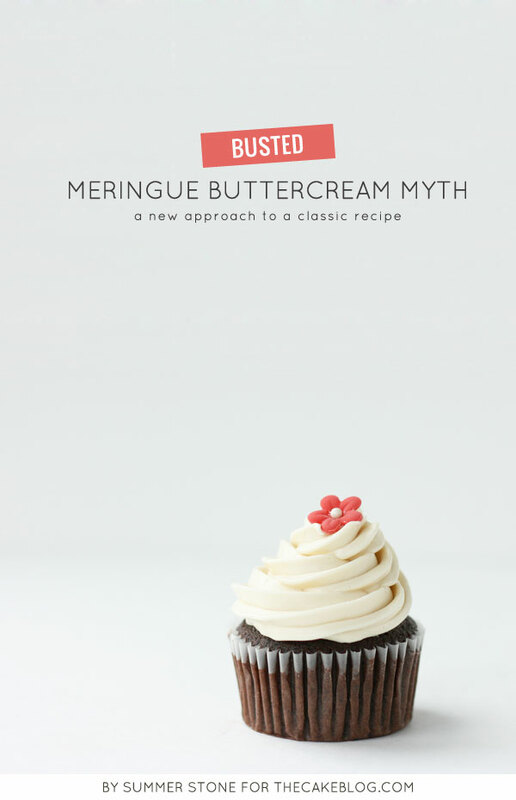 In this segment I will take a look the differences in three different types of dairy products and how varying these will change the resulting cake. The three dairy products are whole milk, buttermilk and sour cream. Let’s delve in and see what changes happen and the properties that of the dairy items that lead to these changes. The main properties of the liquids that affect cake are acidity and fat. Acids in a batter have an effect on protein interaction and starch gelation. Fat in batter provides moisture, and by coating gluten forming proteins, reduces gluten formation and thus tenderizes the cake. When you alter the type of liquid that goes into a cake batter you redefine the balance and interplay of the fats and acidity. 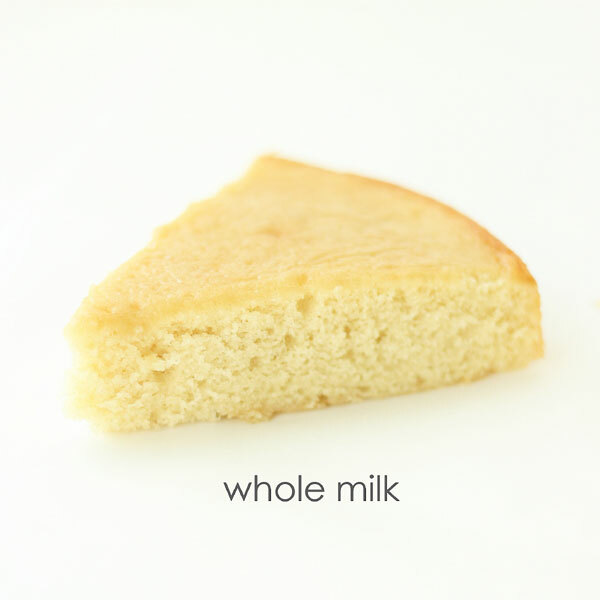 Whole milk is a relatively neutral liquid and provides around 9 grams of fat per cup. It provides little acidity but is moderate in the fat department. Buttermilk, which is generally derived from low-fat or non-fat milk contains little fat at approximately 2.5 grams per cup but offers greater acidity at around 1% acid content. Sour cream has acidity akin to buttermilk at about 0.8% but unlike buttermilk, sour cream also imbues a batter with 40 grams of fat per cup. How does changing these ingredients actually play out in a cake recipe? It seems that acidity truly is an important factor of cake liquid. The cake baked with whole milk was slightly darker in color that the acid containing cakes and the milk cake had a coarse crumb. The coarseness of the crumb is likely caused by the lack of acidity, which allows gluten proteins to readily form, and the neutral liquid which can bolster gluten formation. 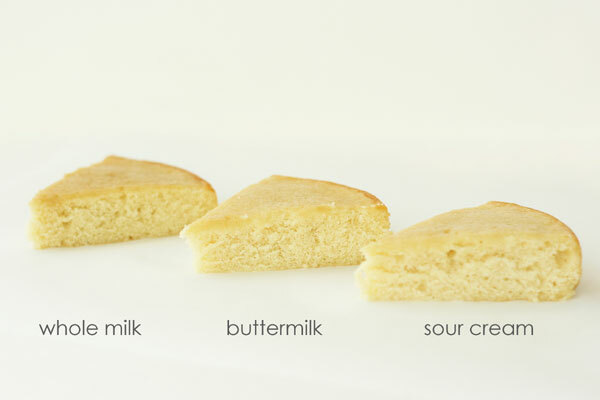 The milk cake was also slightly bland in flavor compared to the others because of its mild flavor. 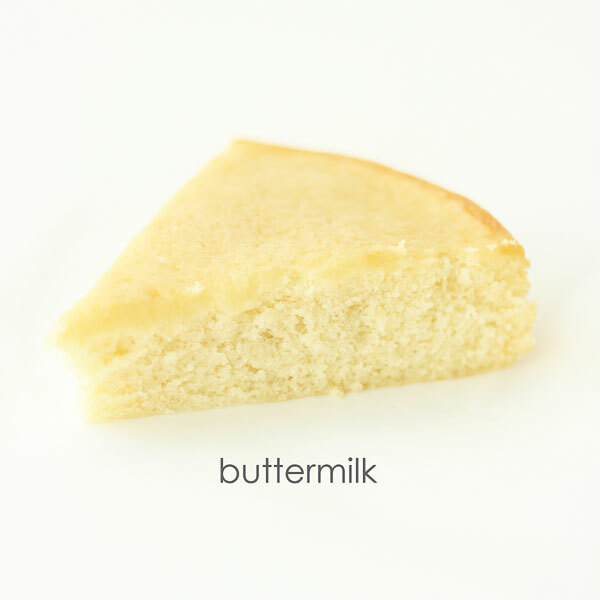 The buttermilk cake was lighter in texture and had a tenderer crumb. Interestingly, the cake did not seem to suffer significantly from the reduction of fat. It was as moist as the whole milk cake. The buttermilk cake did have the advantage for flavor though. It provided a mild complexity that was not too tangy. The sour cream cake had a very fine, tender crumb. The sour cream contains acidity as well as sizable amounts of fat. This combination generated a cake with a very appealing texture. 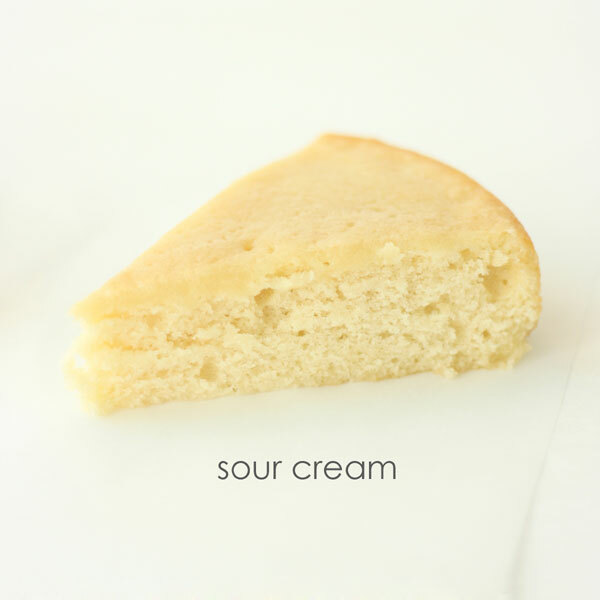 The sour cream cake was also light in texture and at the same time moist. This cake, like the buttermilk had a lovely flavor that was brought about by the subtle sour acid notes in the sour cream. 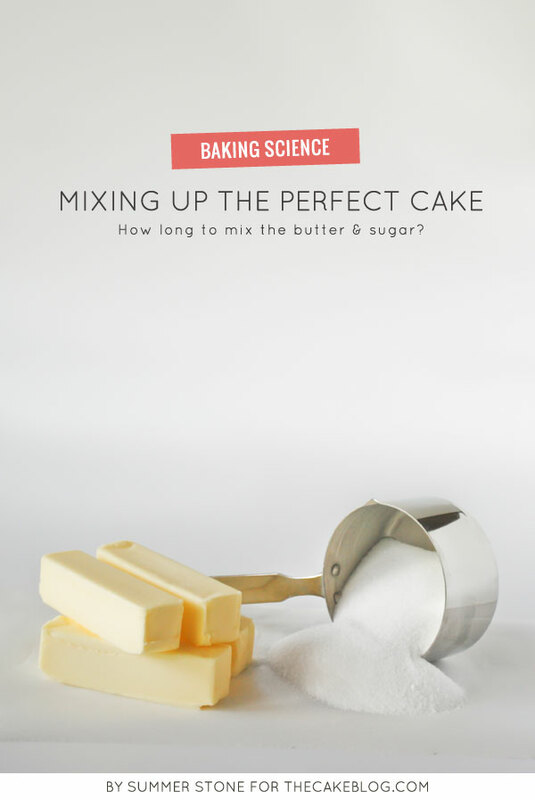 Acidity and fat derived from liquids can have a great impact on the outcome of a cake. 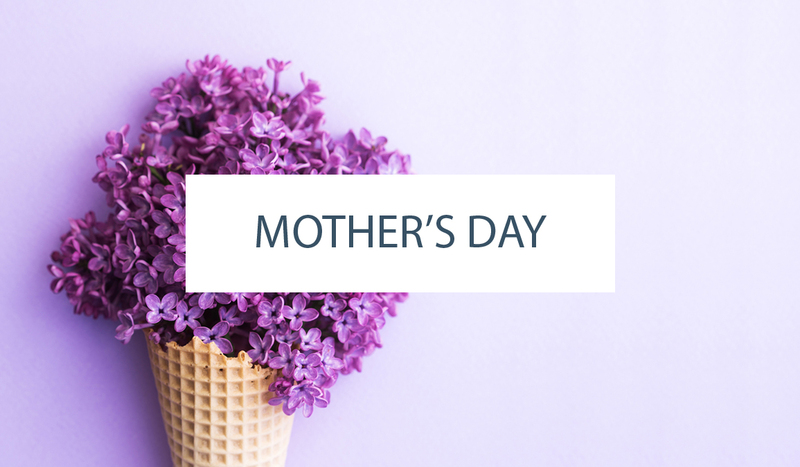 My preference is for a cake containing sour cream which offers a beautiful balance of acidity and fat that translates into a flavorful cake with a fine moist crumb. does the thickness of sour cream make a difference? would you substitute at a 1:1 ratio? I swap whole milk and buttermilk 1:1, but was curious about the sour scream swap. thanks! How did your attempt at sub whipping cream go? 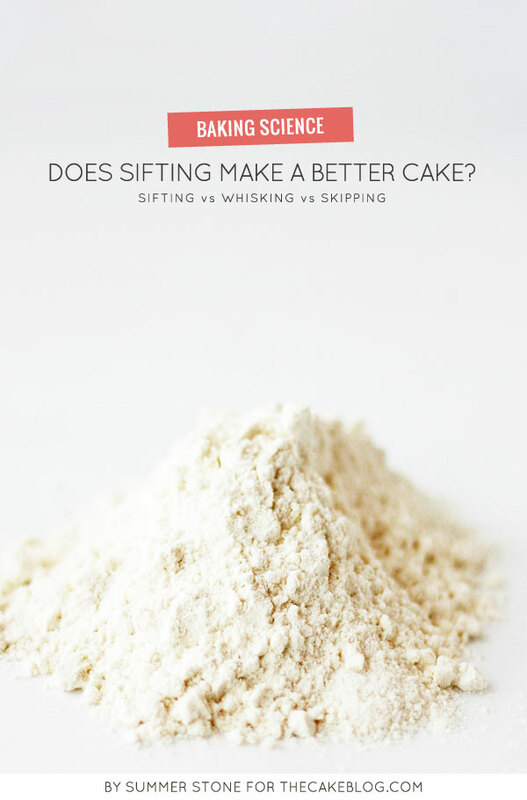 What do you think about the use of milk kefir in baking cake? The acidity might be higher than buttermilk and I make my own from full fat milk. How does it stand in this test? Thank you for this valuable information! Very interesting! So you would use the sour cream to Replace the milk altogether? I have used milk and sour cream in a recipe. Better to use just one or the other? Thanks! You can use any combination that works well with your recipe. Sometimes I use just sour cream and other times I use a combination. This helped me out in a way I can’t explain. Thanks so much!!! !